Retired Michigan Tech Professor Theodore “Ted” Grzelak of Dollar Bay passed away Sunday at St. Mary’s Hospital in Grand Rapids following a lengthy illness. He was 78. He was born in Detroit and earned his bachelor’s of science in electrical engineering from the Michigan College of Mining and Technology in 1960. While at Tech, he was involved with Phi Kappa Tau fraternity. He received his master’s and PhD degrees from the University of Wisconsin-Madison. He married the former Mildred Savalox in 1959 and in August the couple celebrated their 57th anniversary. In 1965 he accepted a position with Cornell Aeronautical Laboratory near Buffalo, New York. 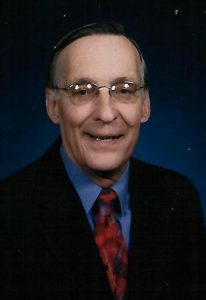 According to his obituary, concern about heavy local pollution at the time convinced him to accept a position in the department of electrical and computer engineering at Michigan Tech. He taught here from September of 1966 until his retirement in 2000. He was a coach for the Copper Country Junior Hockey Association, a member of the the Copper Country Ski Club and an official of the Central Division of the United States Ski Association. He was Dollar Bay’s Little League and Senior League baseball coach for several years. He was an active member of Gloria Dei Lutheran Church in Hancock where he sang in the choir for nearly 40 years. He is survived by his wife, Mildred, his three sons and eight grandchildren. Funeral Services for Ted Grzelak will be held at 11 a.m. Friday (Nov. 18) at Gloria Dei in Hancock. Friends may call from 5 to 8 p.m. tomorrow at the Memorial Chapel Funeral Home in Hancock and Friday from 10 a.m. until the time of the service at the church. A complete obituary can be found on the Memorial Chapel website.